Show off your phone with the world's first Naked Case for the LG Encore. This revolutionary technology allows your device to function flawlessly while in this case, even though you are actually touching the screen through the case. Show off your phone with the world's first Naked Case for the LG Encore. This revolutionary technology allows your device to function flawlessly while in this case, even though you are actually touching the screen through the case. 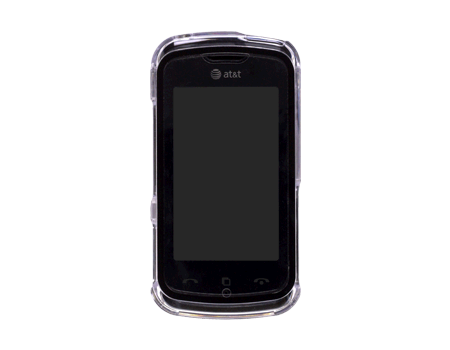 For the first time you can have the best of both worlds - complete protection and full functionality. The Naked Case is crafted of polycarbonate, with an electrostatic membrane across the front. Cutouts provide full access to all ports and buttons. The Naked Case lets the true beauty of your LG Encore(TM) phone to shine through.